Based on an in-depth evaluation of work portfolios and client feedback, Clutch highlighted 244 development companies and agencies as strong performing leaders in India. 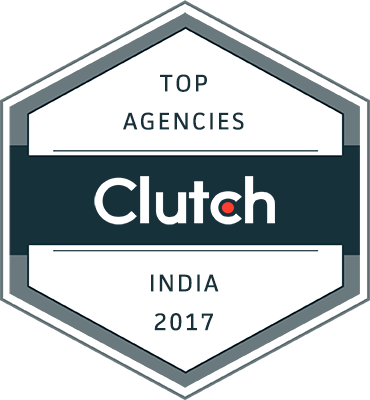 WASHINGTON, D.C., Sept. 28, 2017 - Clutch announced the leading agencies and development companies in India for 2017. A B2B research, ratings, and reviews firm, Clutch covers agencies and developers in cities and countries around the world. The ongoing research identifies leaders based on verified feedback from clients who reviewed the company and evidence of an ability to deliver successful and high-quality solutions to their clients. The leading Indian firms by category are highlighted below. Top App Developers in Bengaluru, India - July Rapid, TechJini, GoodWorkLabs, Snyxius Technologies, Wow Labz, CognitiveClouds, 1985, Cartoon Mango, Mendios Technologies, DigiFutura, Nexia Digital, BMS Innolabs Software Pvt.Ltd, Pronto Software Solutions Private Limited, 47Billion, Appnings Software Solutions Pvt Ltd.
Top App Developers in Jaipur, India - Konstant Infosolutions, Octal IT Solution, Nine Hertz, Xtreem Solution, Logicspice Consultancy Pvt Ltd, DevTechnosys Pvt Ltd, BR Softech, Dotsquares, SAG Infotech Pvt. Ltd., SemiDot Infotech, Endive Software, PTI WebTech, Noto Solutions, Owebest Technologies Pvt. Ltd., Planet Web Solutions Pvt. Ltd. 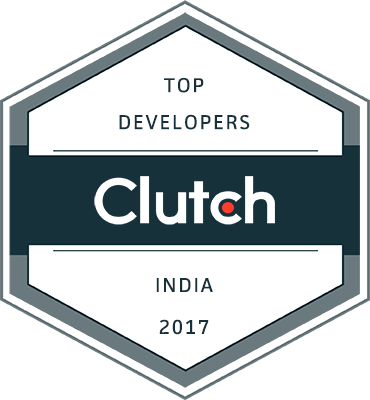 Clutch identified the best agencies and developers in India based on a long-standing proprietary research methodology that evaluates each company on its market presence, demonstrated by the services offered, clients served, and quality projects. Dedicated Clutch analysts also evaluate companies based on thorough reviews with past and current clients, speaking to each client first-hand to learn how each company performs. Clutch’s research is ongoing. All firms interested in being featured in the research are encouraged to apply through the Clutch website. Upcoming press releases will highlight industry leaders in the UK and Canada.